Nationally, SERS has recently gone through an unprecedented period of growth in the last twelve months which has been led by Queensland and the establishment of the NSW office. During this time, we have focused on building relationships with existing clients while pushing our regional works in line with the success we enjoyed in rural parts of other states. Recently we have been working on four key projects, pulling on the key pillars of service that the Sydney team can provide. 1. Following a 3-month closure of the site due to contamination issues SERS has been engaged by our client to provide occupational hygiene, asbestos assessor and demolition consultant services for a Biosciences Stage 2 project at a leading NSW education institution. 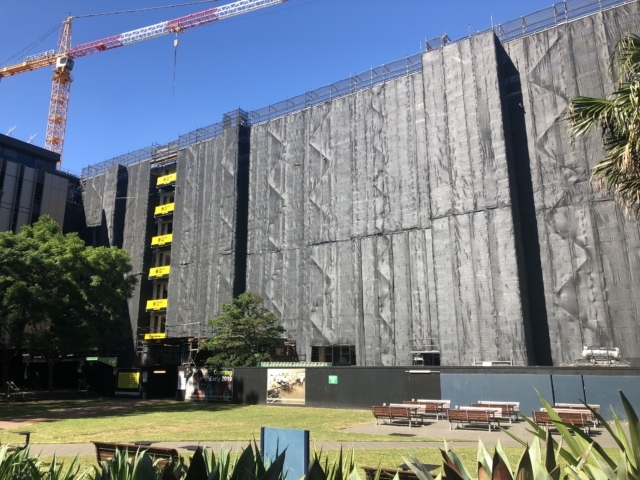 This large-scale refurbishment project has been in the public eye since previously unidentified asbestos materials were unwittingly demolished causing a contamination across the site. SERS is currently responsible for ensuring all hazardous materials are successfully identified prior to demolition and removed in accordance with best practise techniques. 2. I am part of a Contaminated Land Panel in Sydney. We will be responsible for waste classification of illegally dumped stockpiles, asbestos surveys and contaminated land issues across a city locality. Putting to use the years of experience servicing similar contracts in QLD and WA, we will be proving our ability to offer timely, cost-effective solutions to environmental issues faced by our states councils. 3. At the request of our QLD clients, we have dispatched our Asbestos Assessors and Occupational Hygienists to Wagga Wagga and Dubbo to work on a health precinct, working to assist in the continued growth and persistently high quality of their work between states. The HAZMAT demolition process will be supervised by our local and interstate staff as part of a joint effort to ensure the safety of staff at the hospital and successful delivery of the project targets. The works involve both friable and non-friable asbestos, mould and SMF removal under strict conditions. 4. As part of the development of a central health precinct, SERS have been engaged to undertake dust monitoring to ensure renovation works aren’t impacting patient health. The installation of PM 2.5 and PM 10 dust monitors inside the facility has allowed other project partners to record internal dust levels against health guidelines, evaluate their work practises and ensure their impacts are acceptable. Our remotely accessible and highly customisable units have provided ease of mind to Patterson’s during this sensitive project.